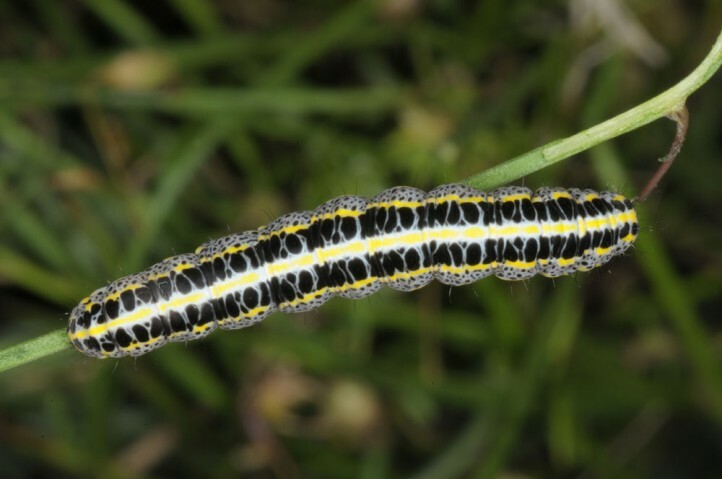 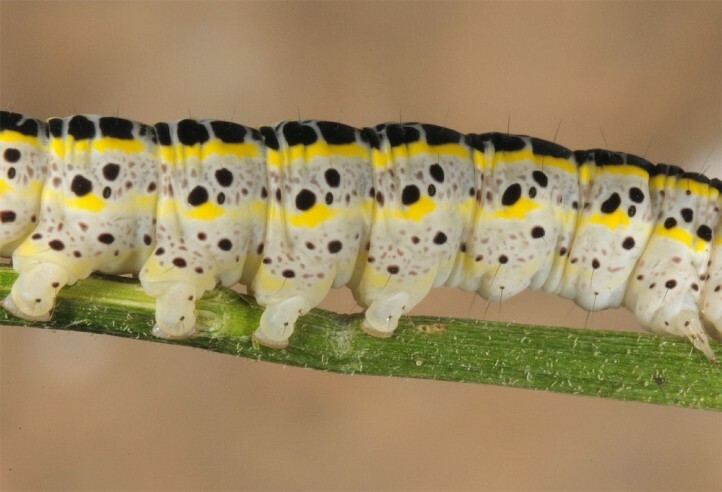 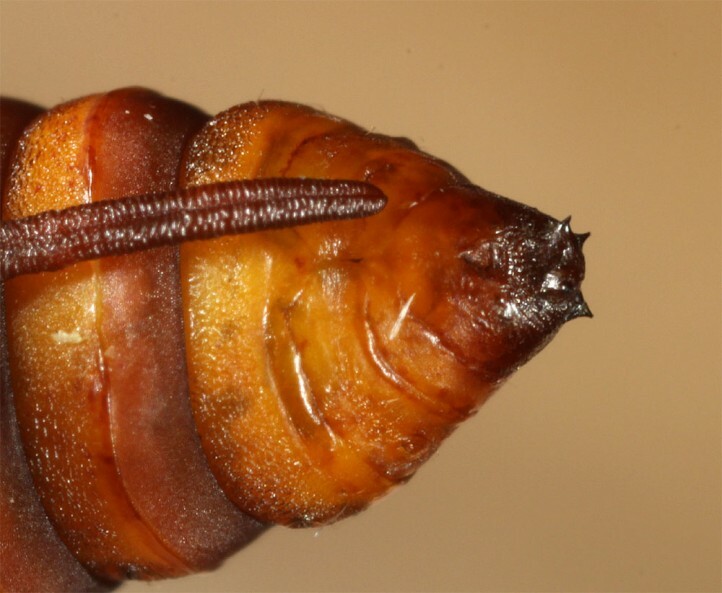 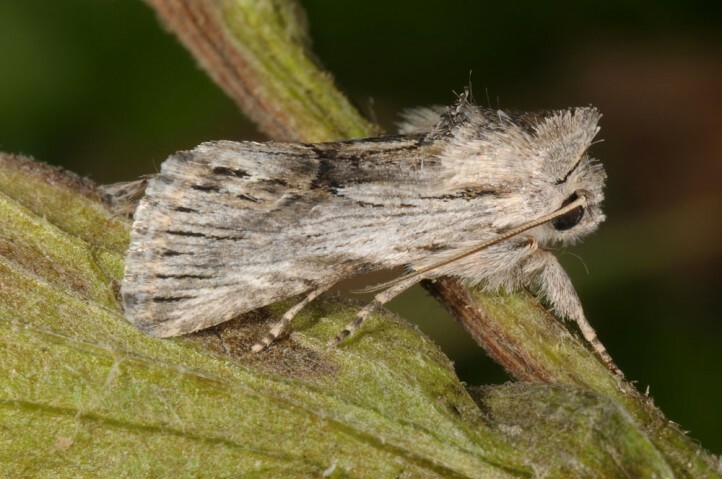 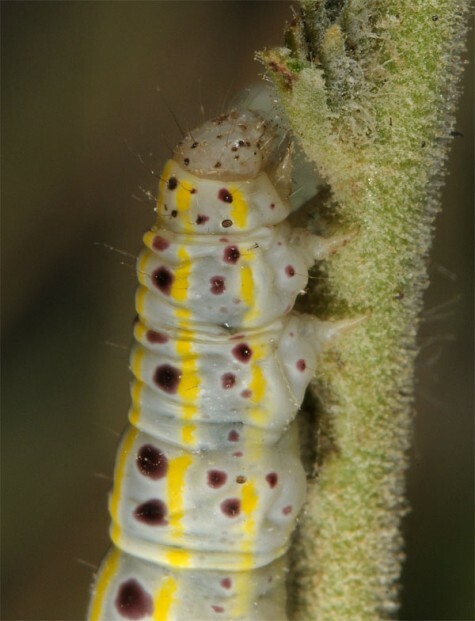 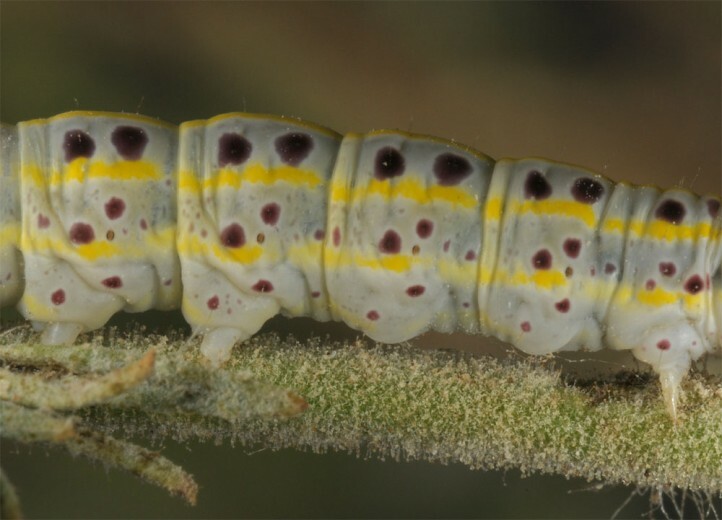 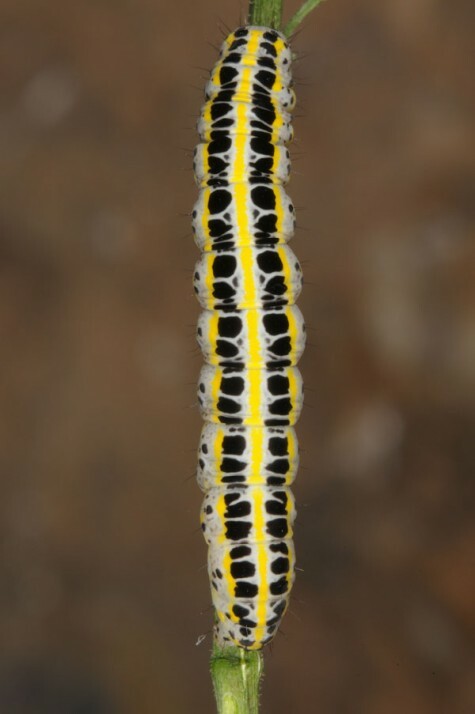 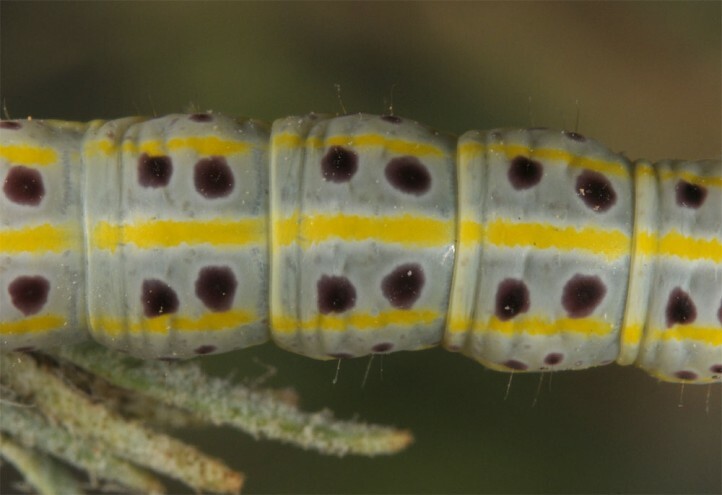 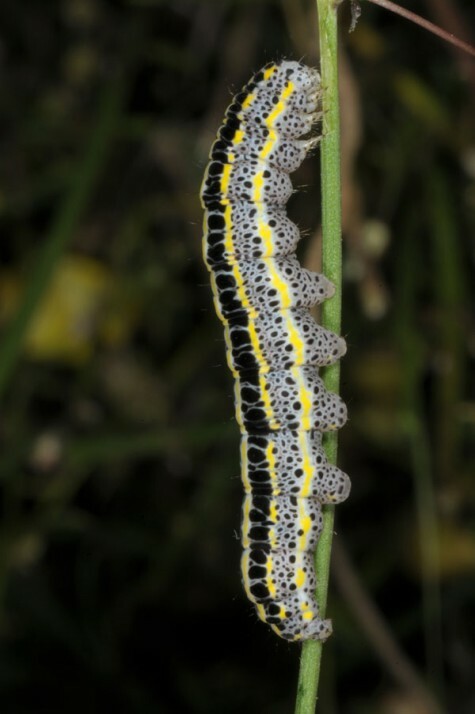 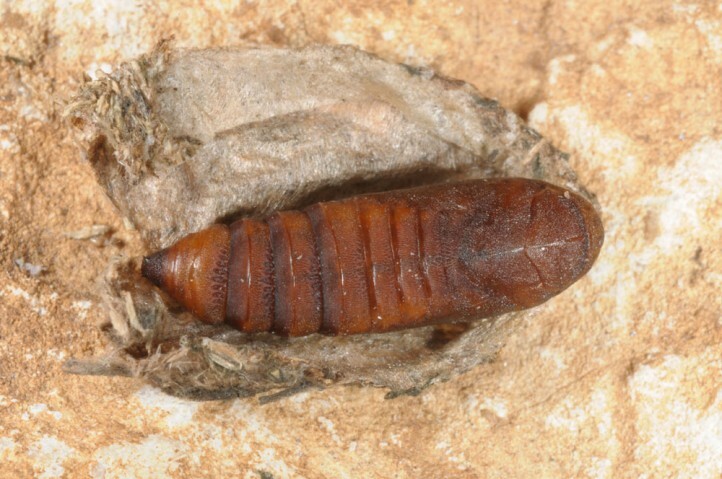 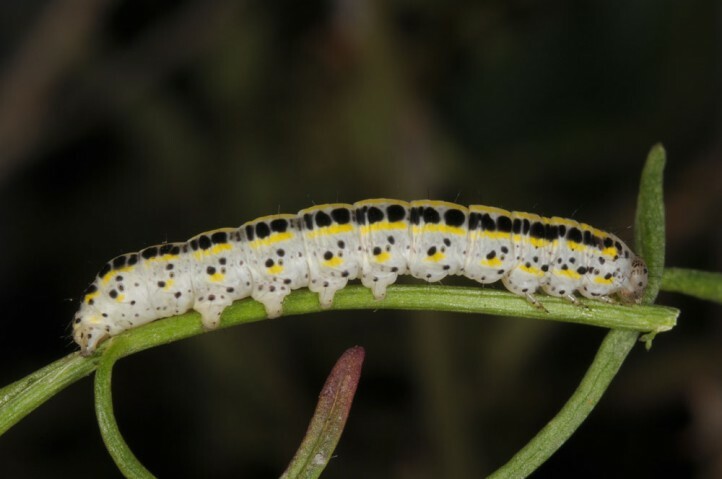 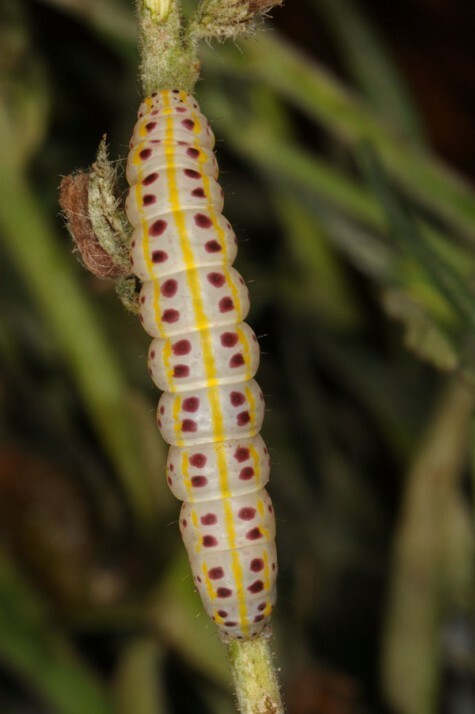 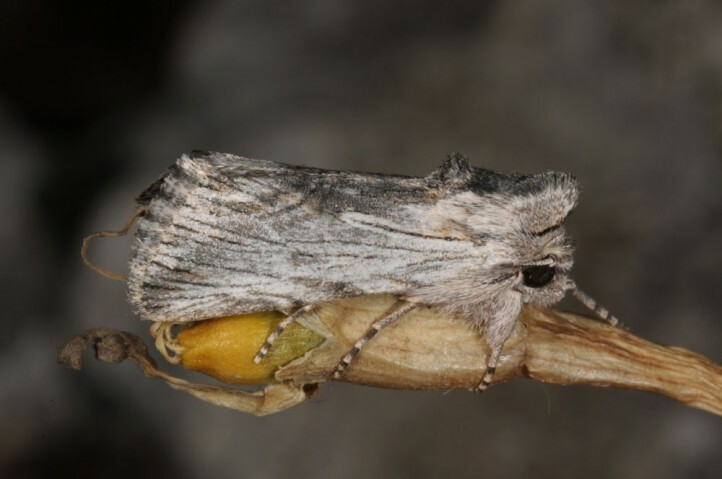 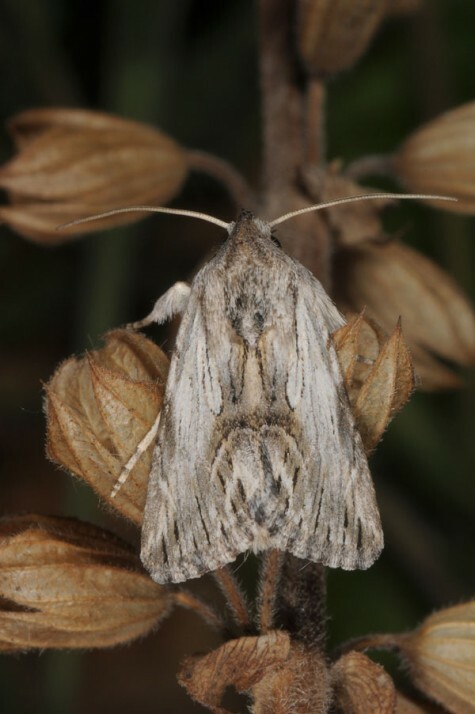 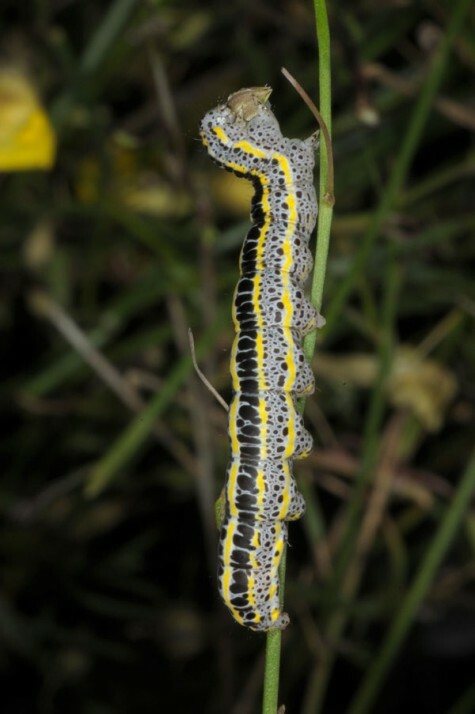 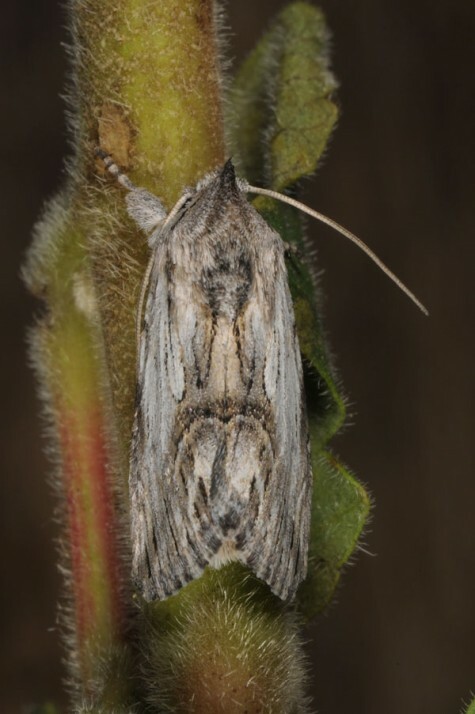 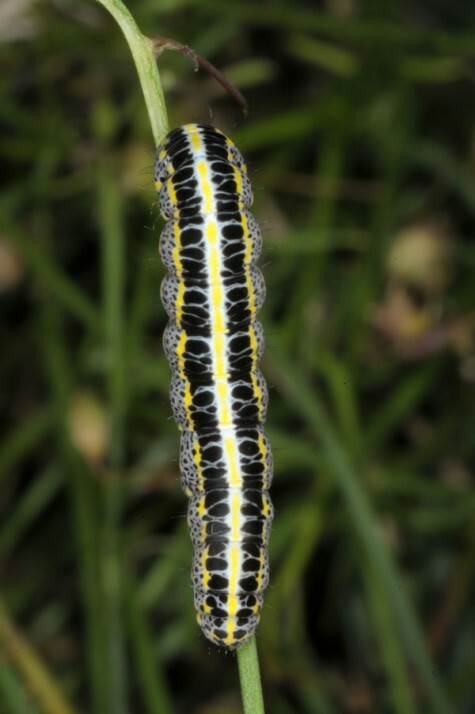 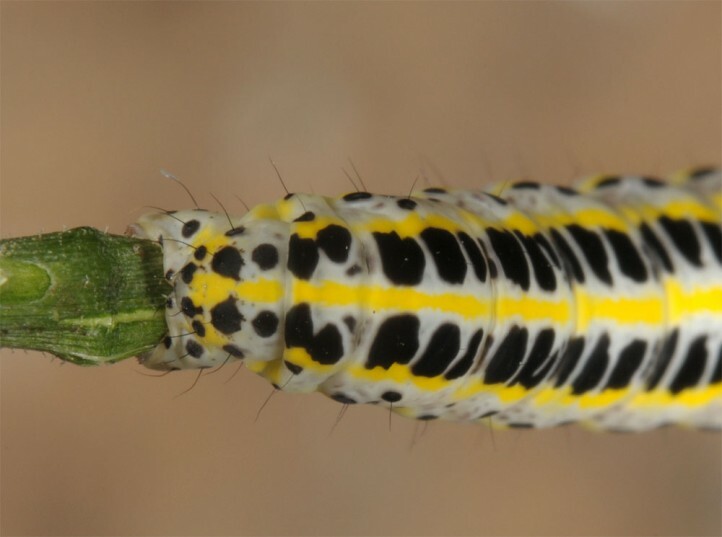 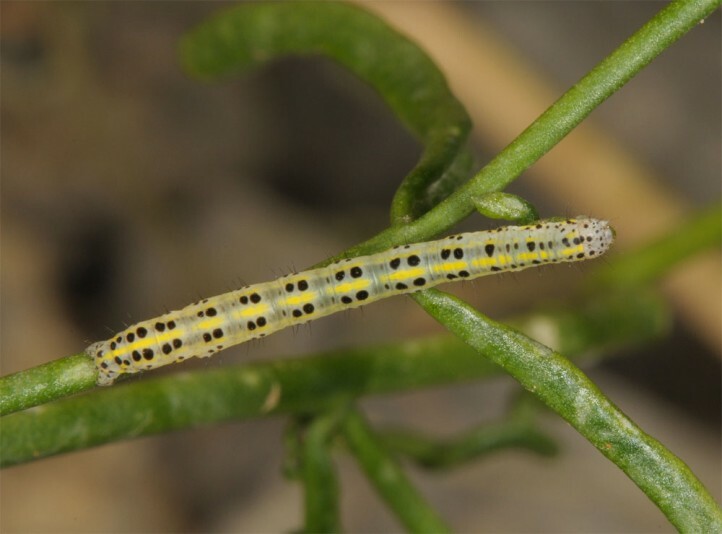 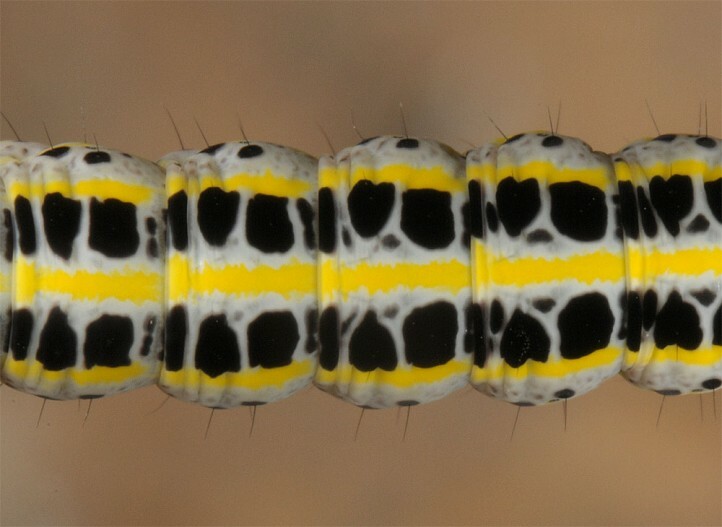 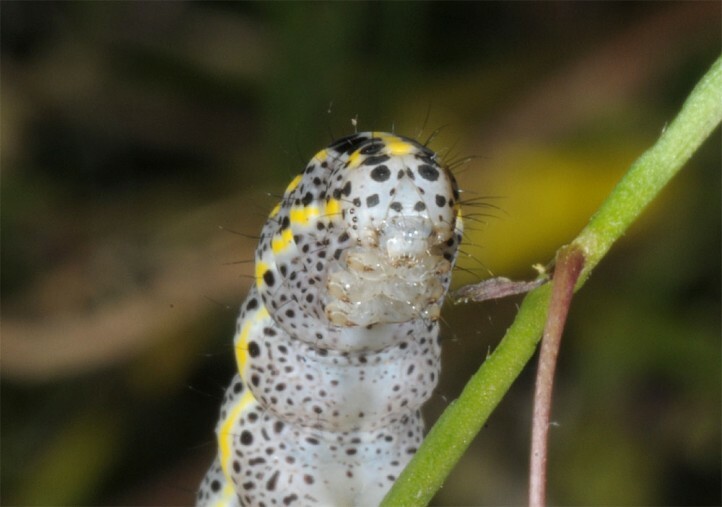 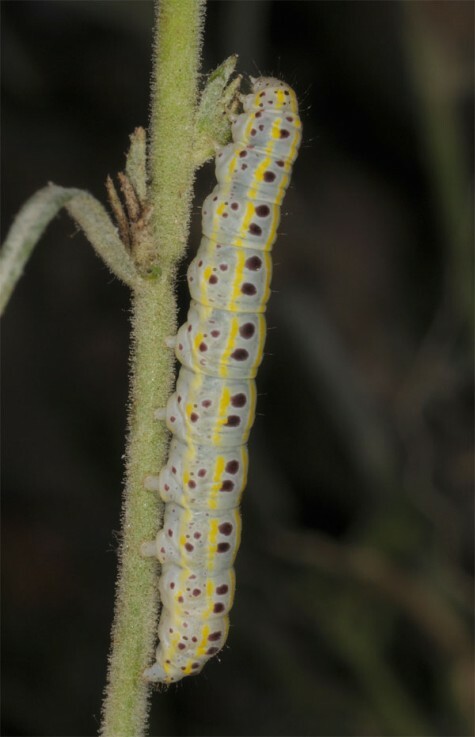 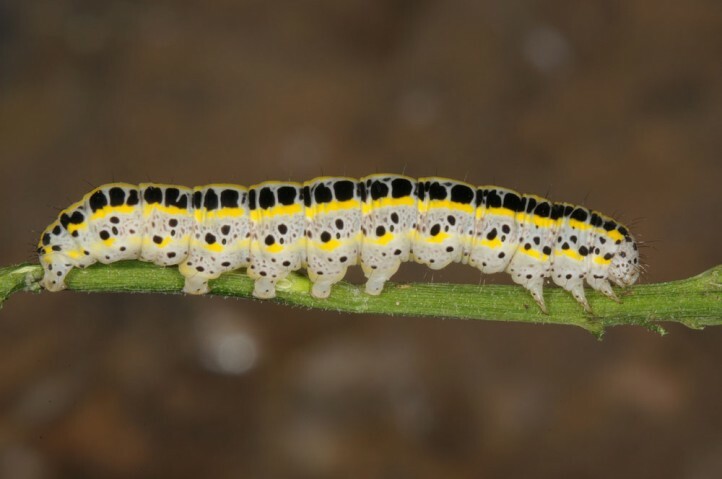 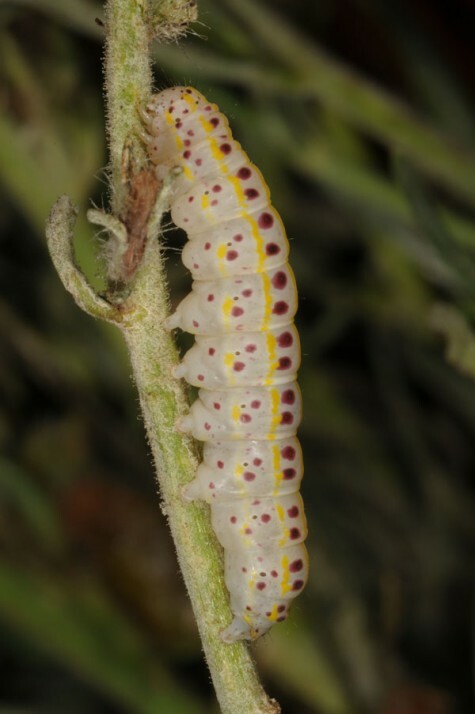 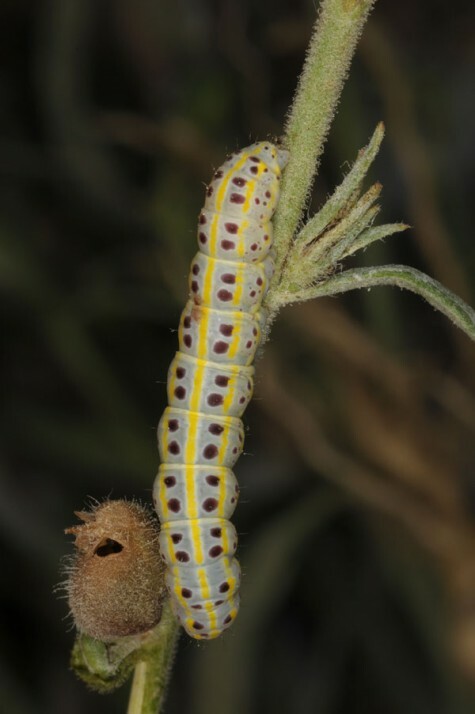 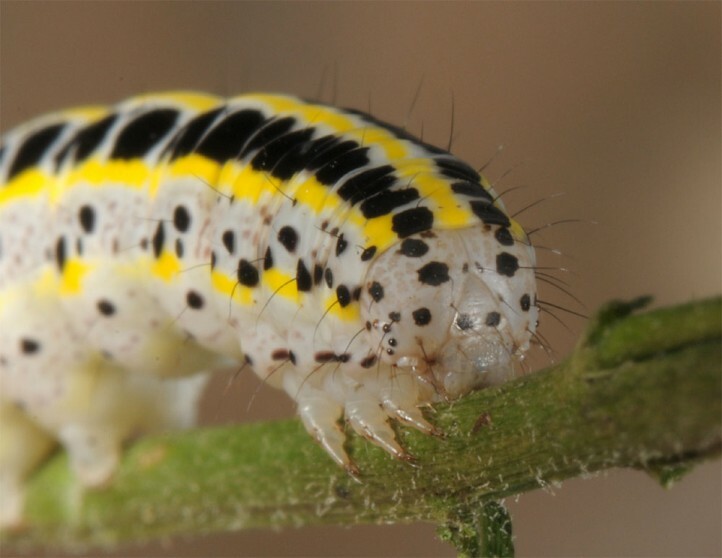 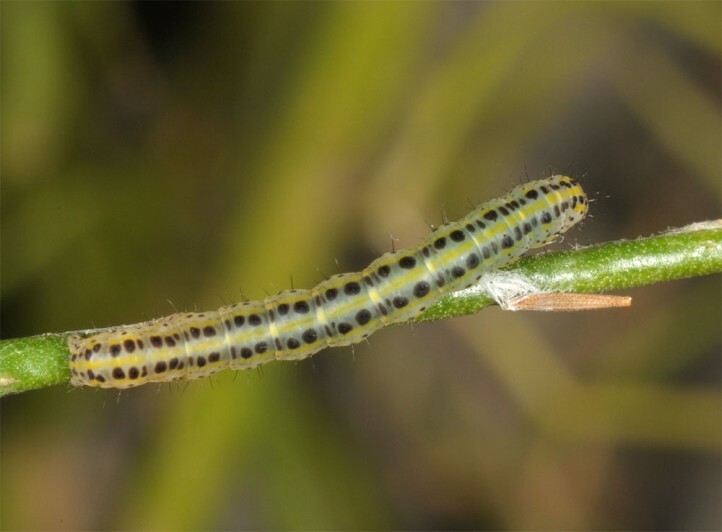 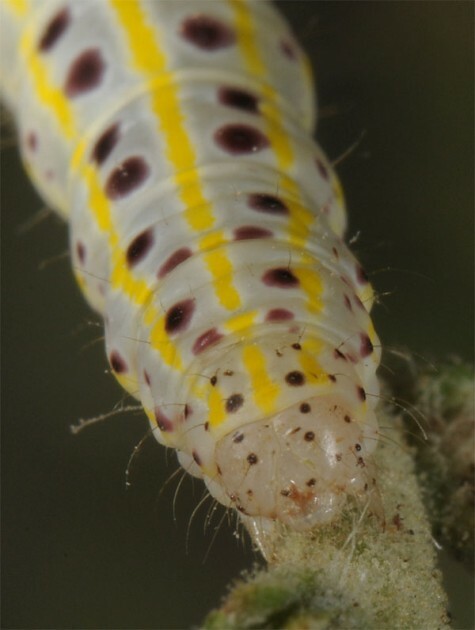 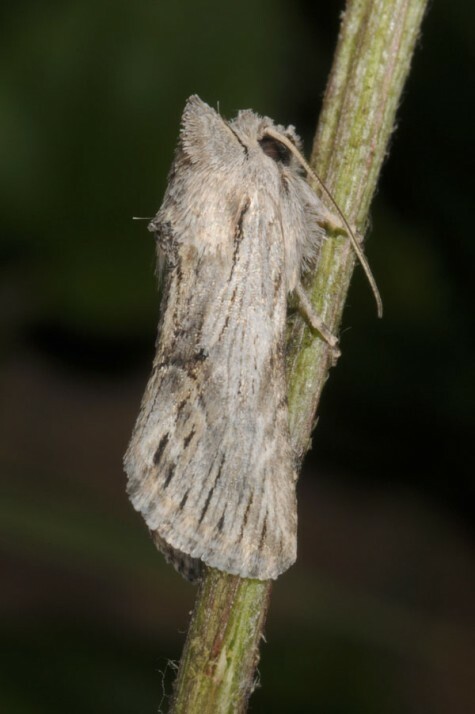 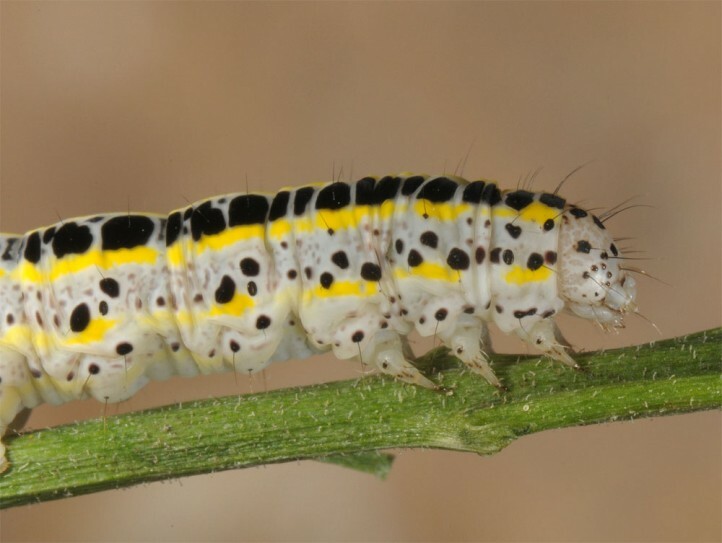 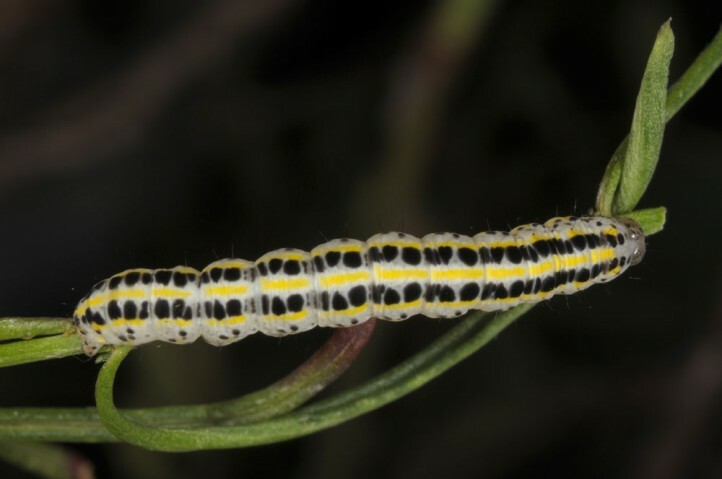 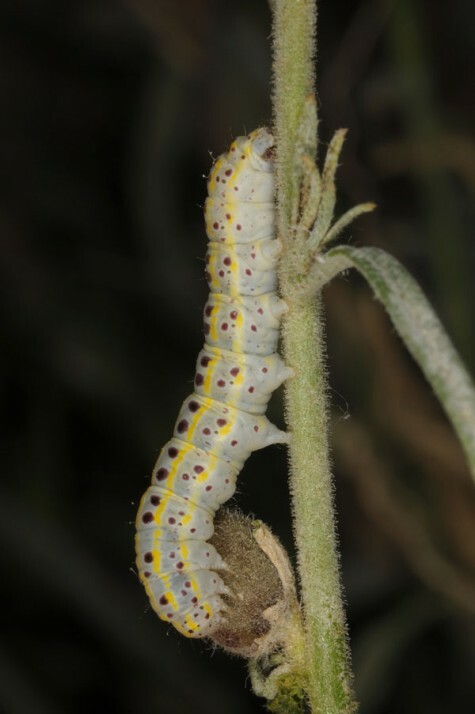 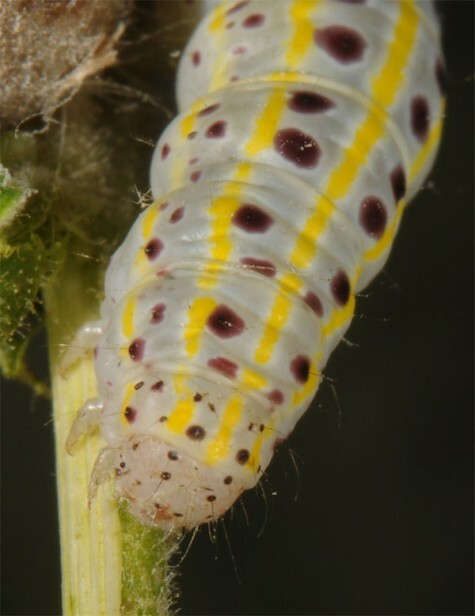 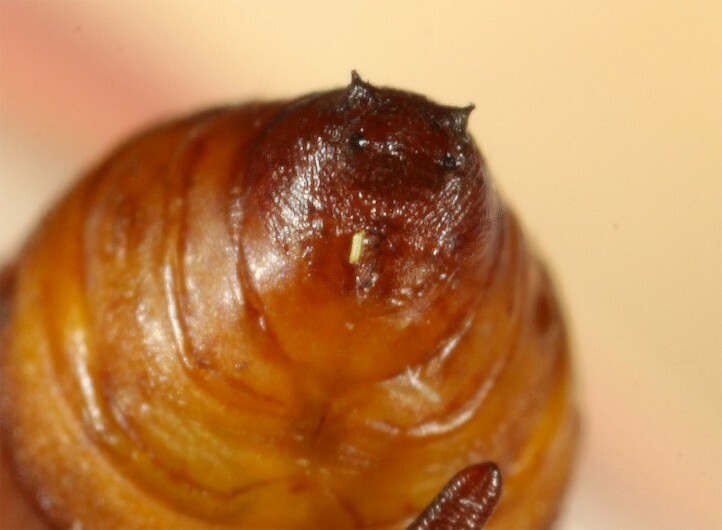 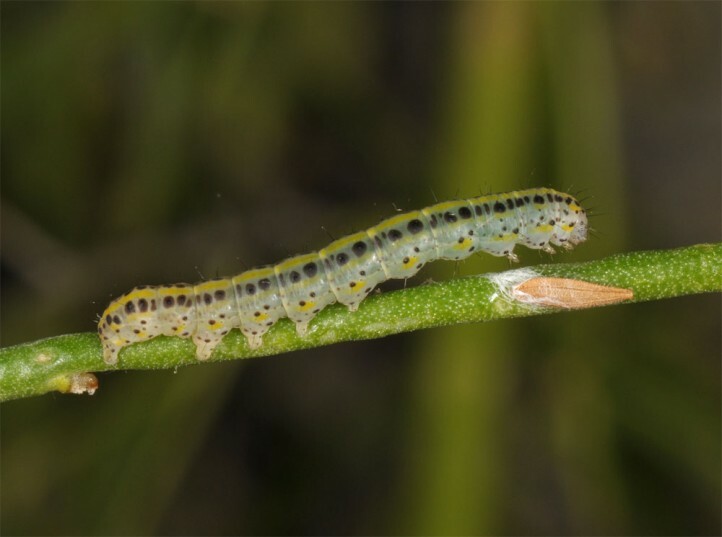 The larvae feed on Linaria, Antirrhinum and related genera. 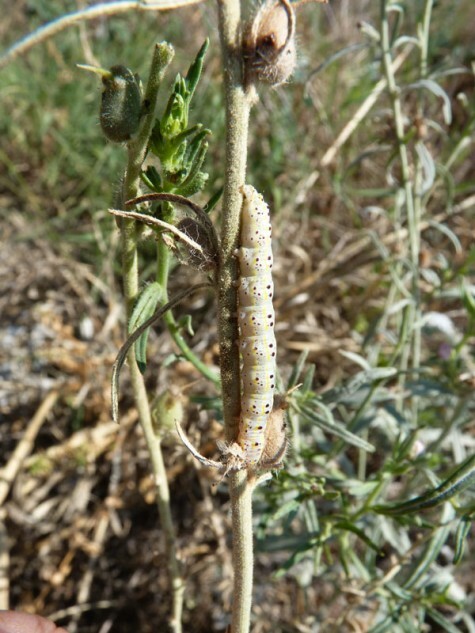 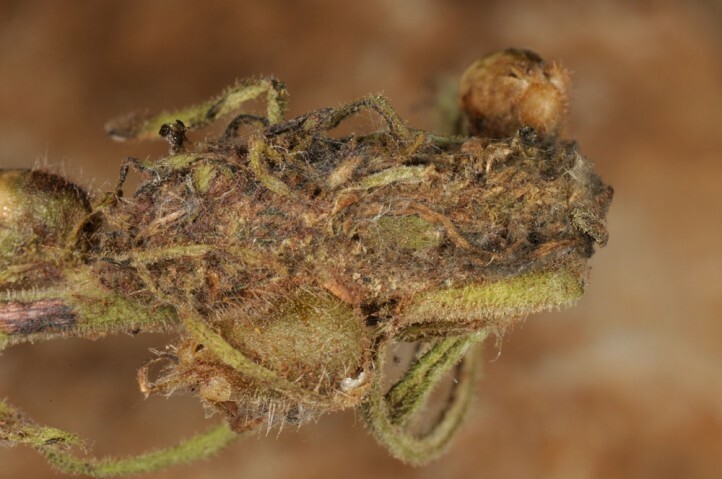 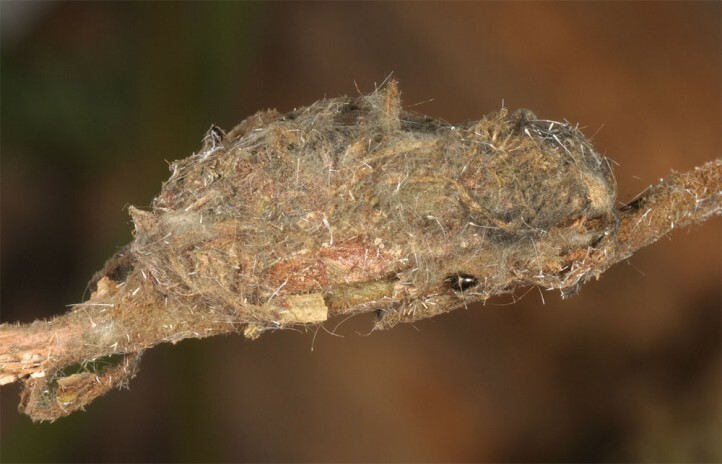 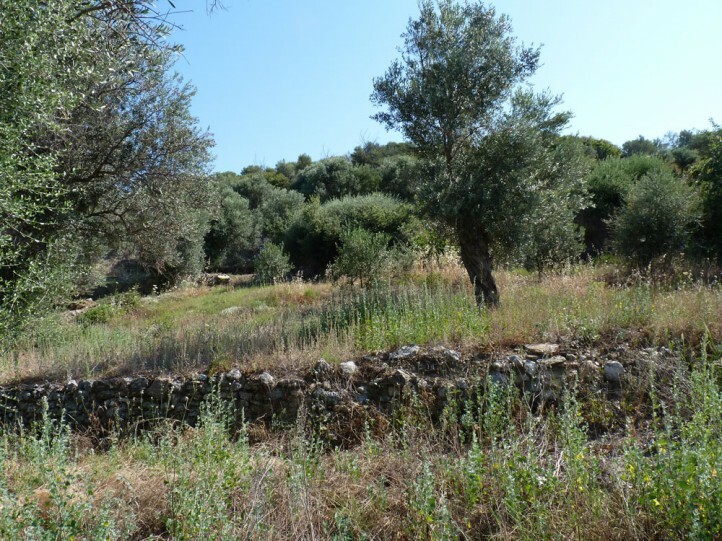 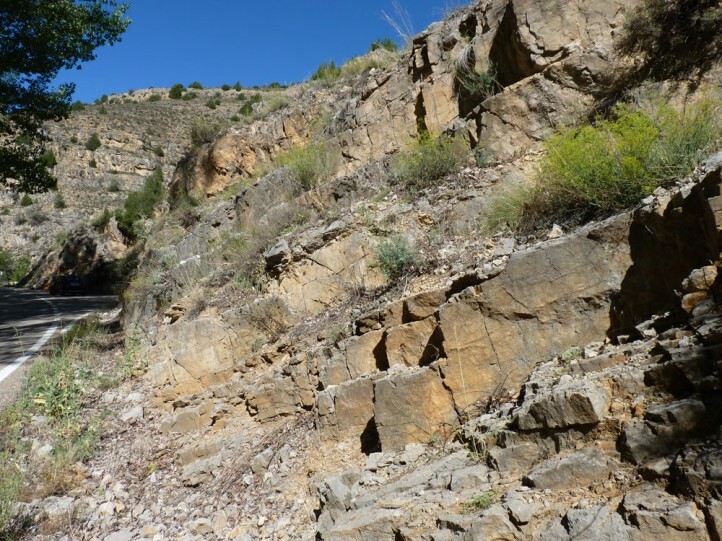 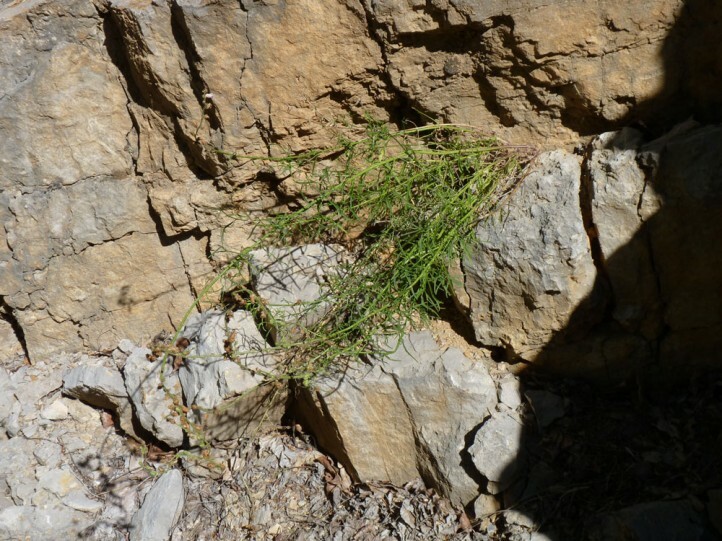 I recorded larvae on Misopates orontium in Samos Island, on Kickxia (Nanorrhinum) scoparia in Gran Canaria and on Antirrhinum in Central Spain (Albarracin). 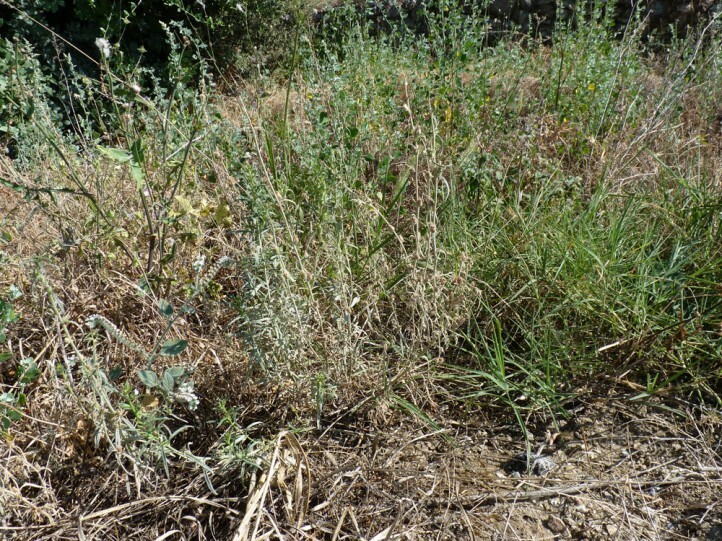 Calophasia platyptera inhabits dry and warm, at least semi-open habitats of all kinds. 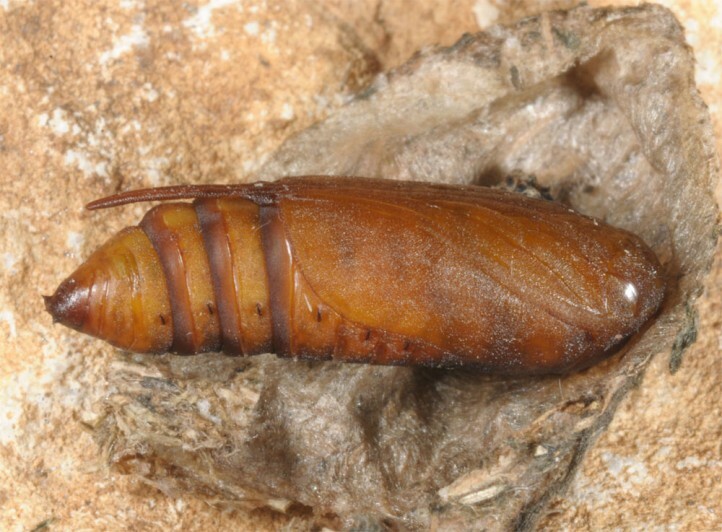 The pupa hibernates. 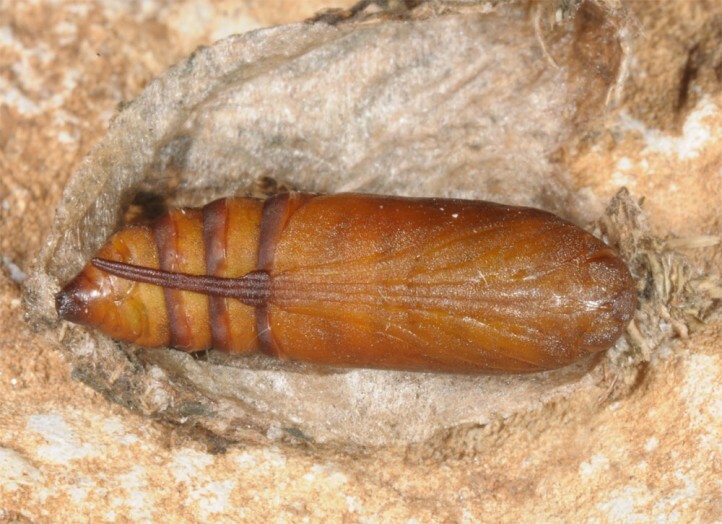 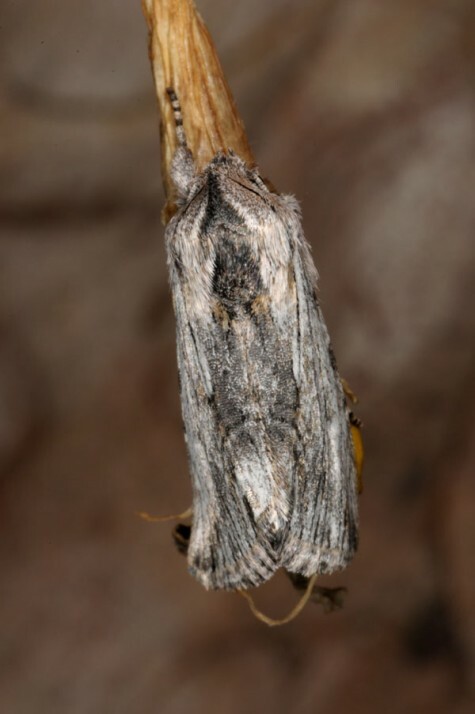 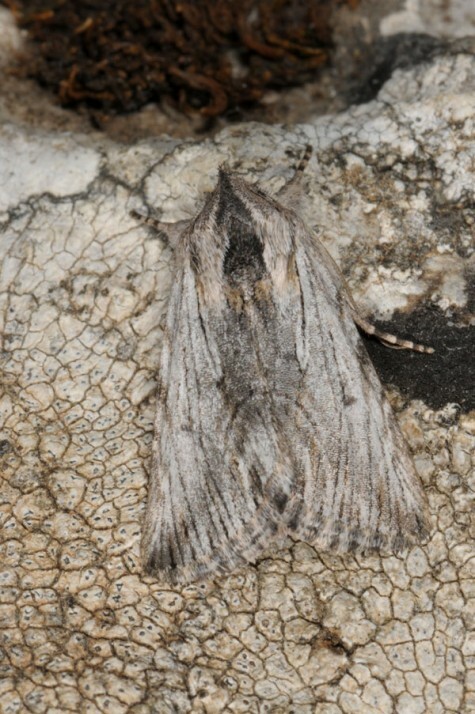 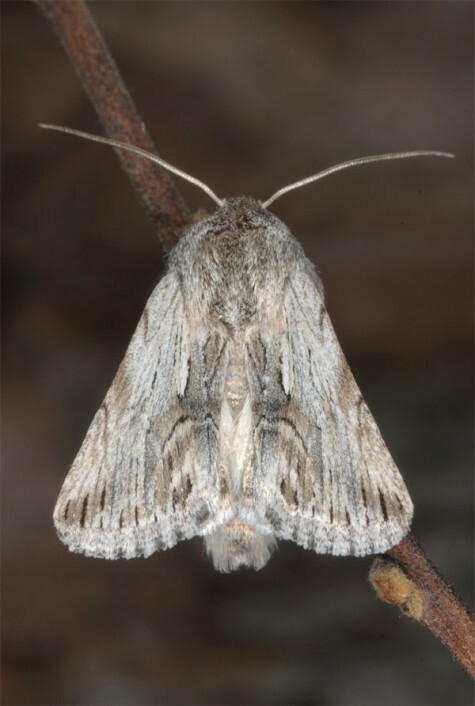 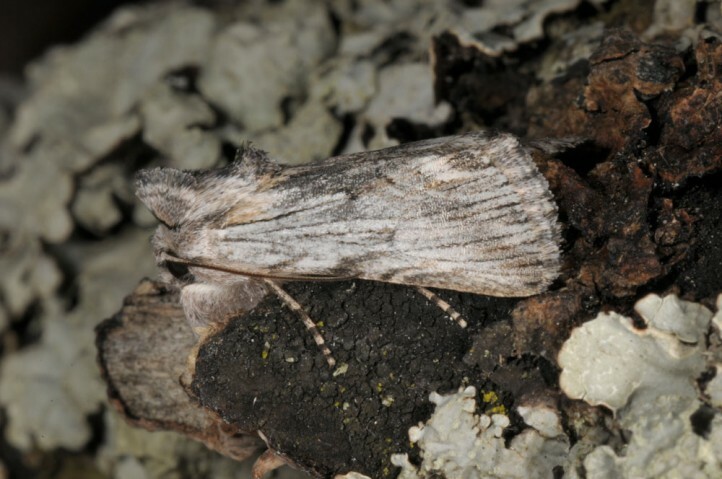 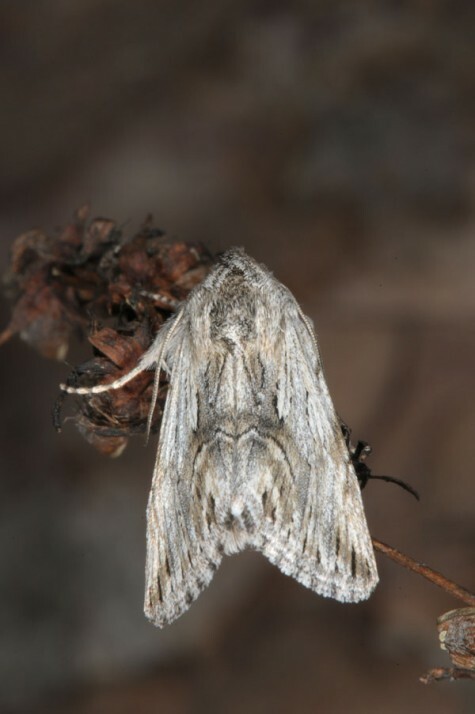 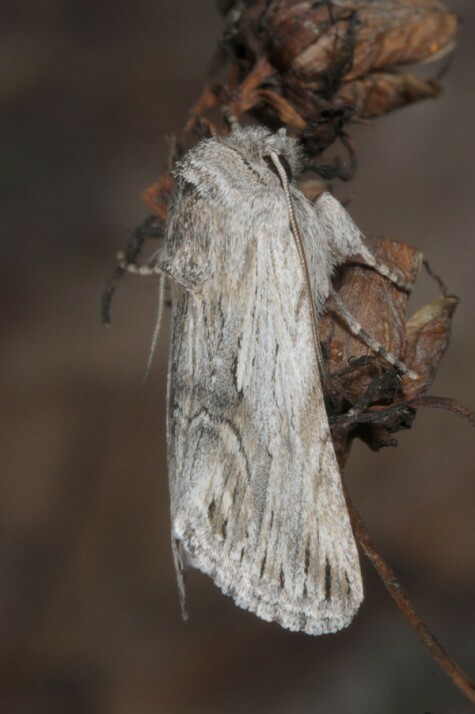 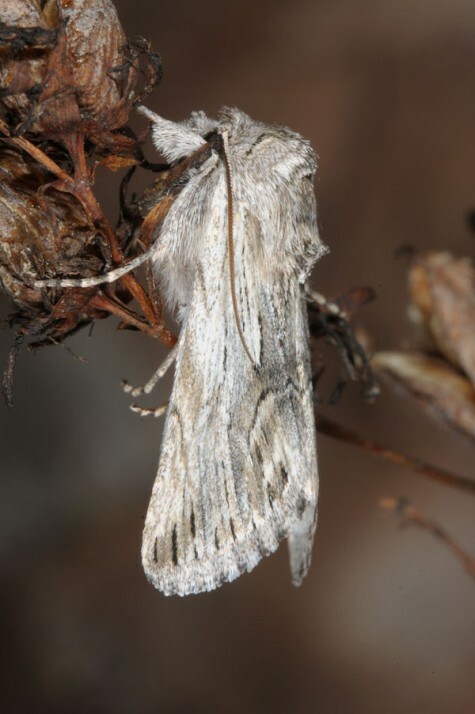 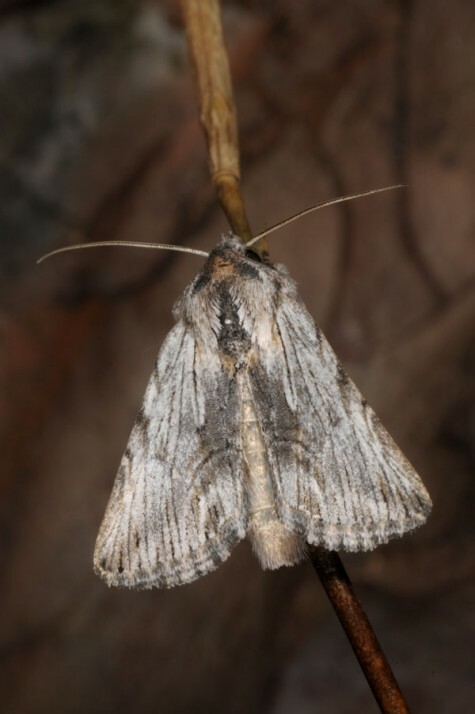 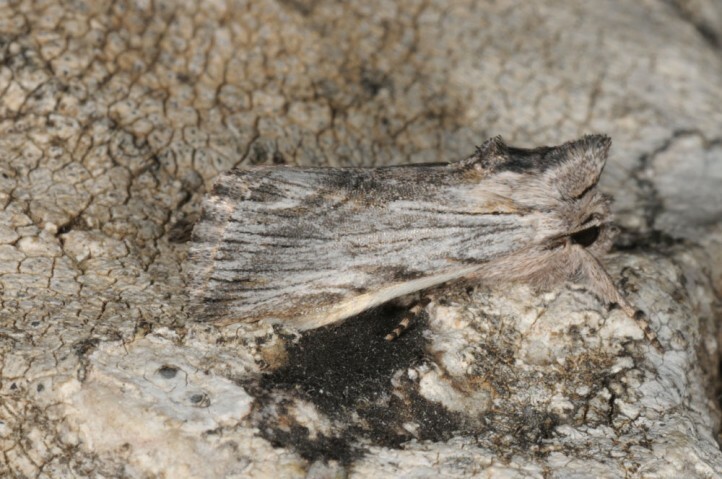 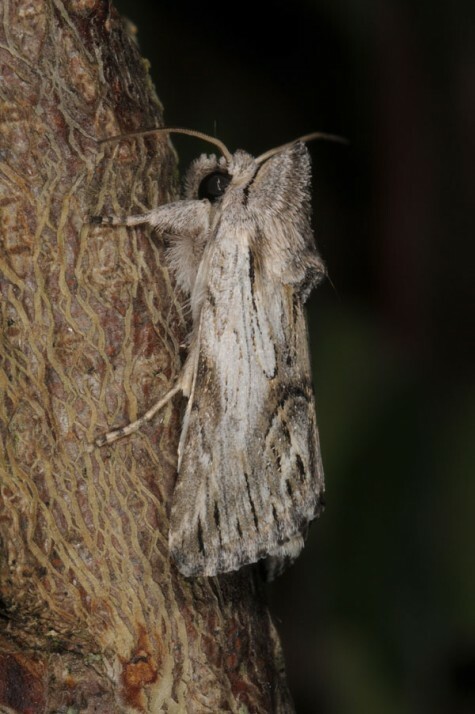 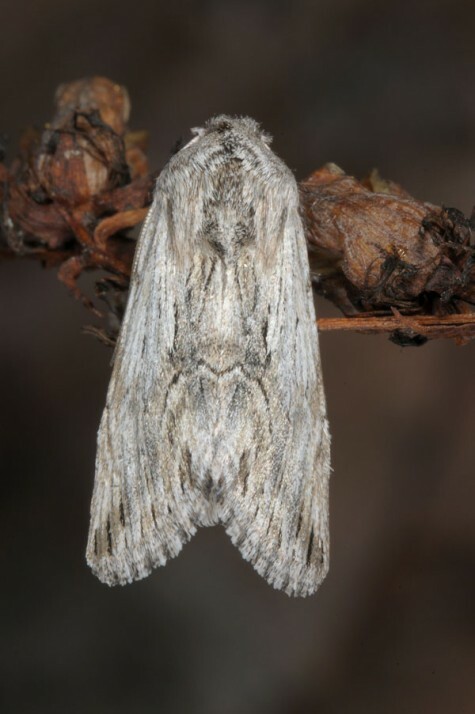 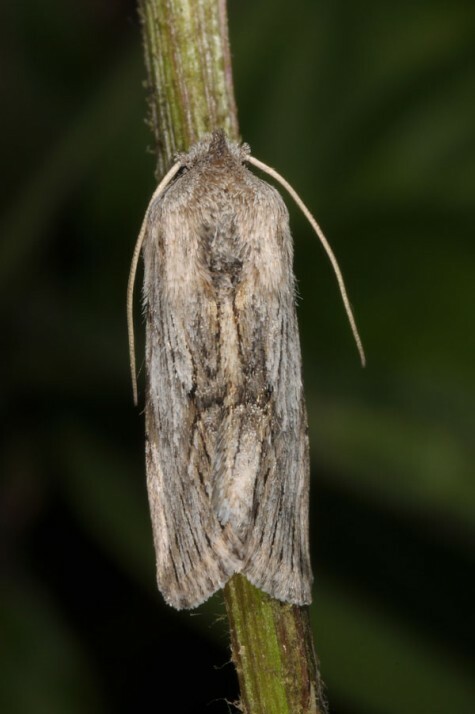 The moths occur in two or three generations between April and September. 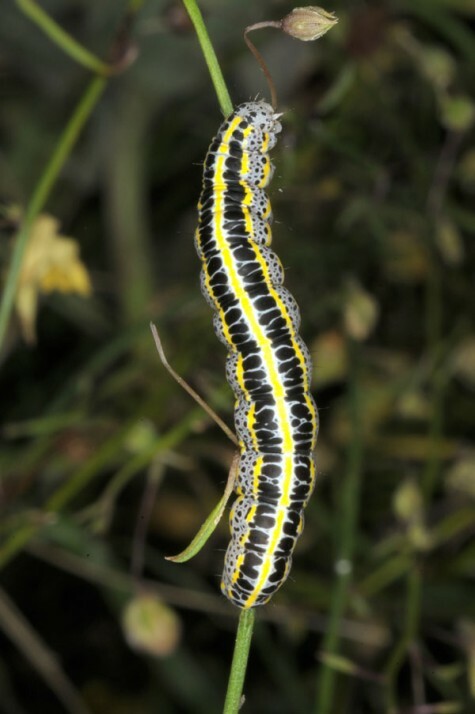 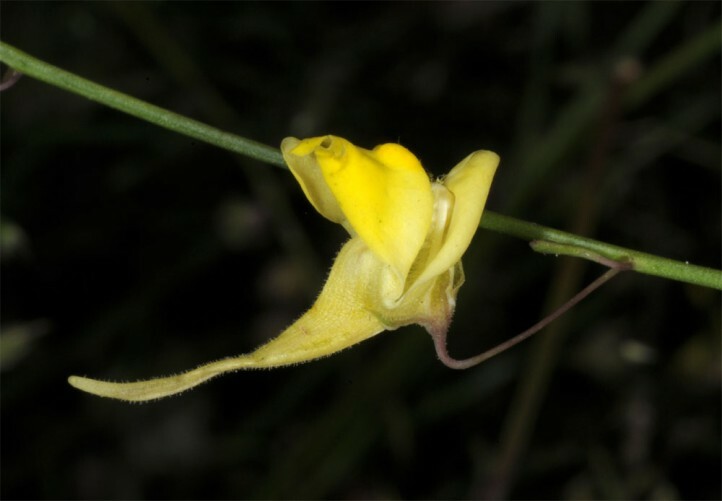 Calophasia platyptera occurs especially in Southern Europe and Asia Minor, but is found Northward occasionally up to the Southern Alps in Switzerland, South Tyrol and Austria.